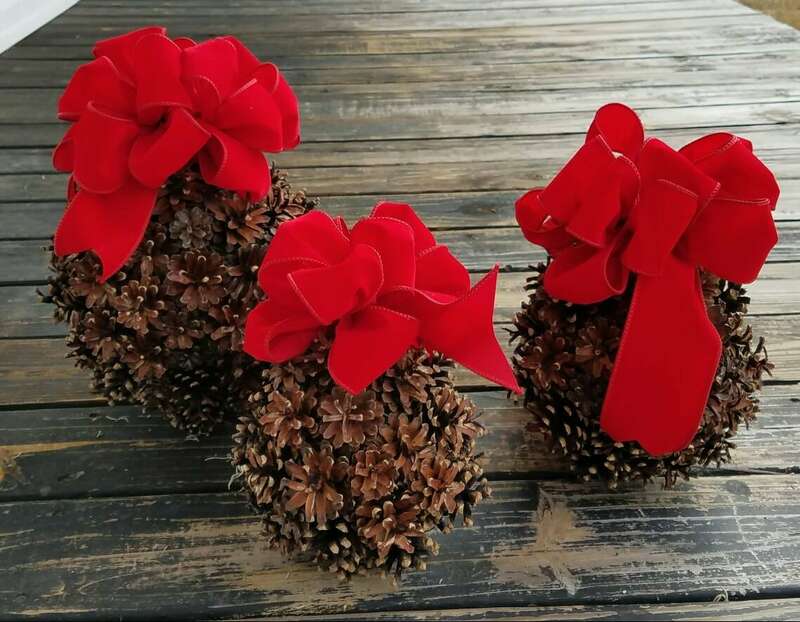 Kissing Balls are a beautiful Christmas tradition which dates back to the middle ages. 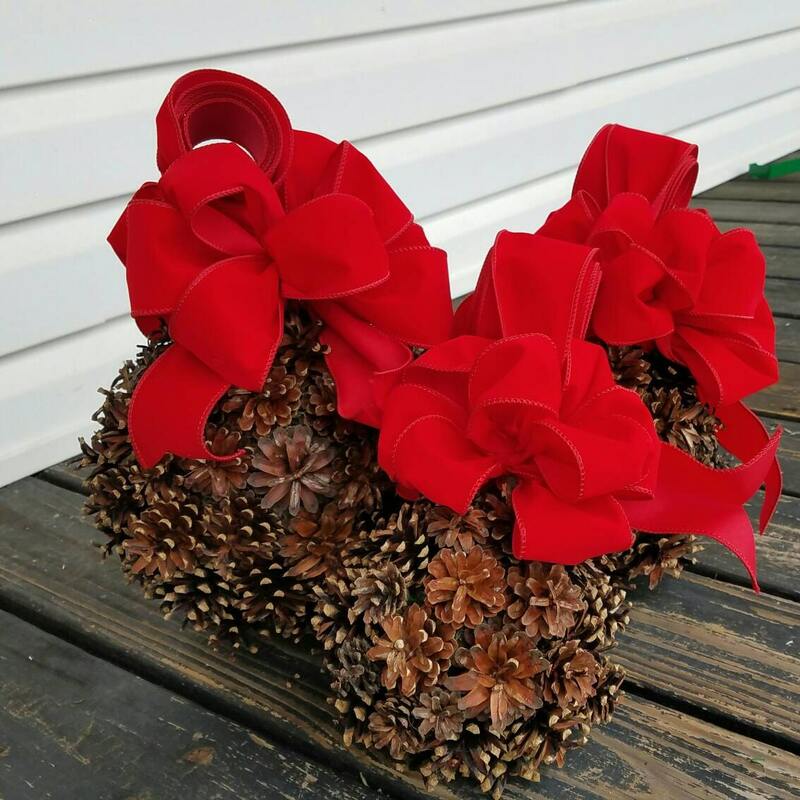 Boughs of holy would be hung around the home. 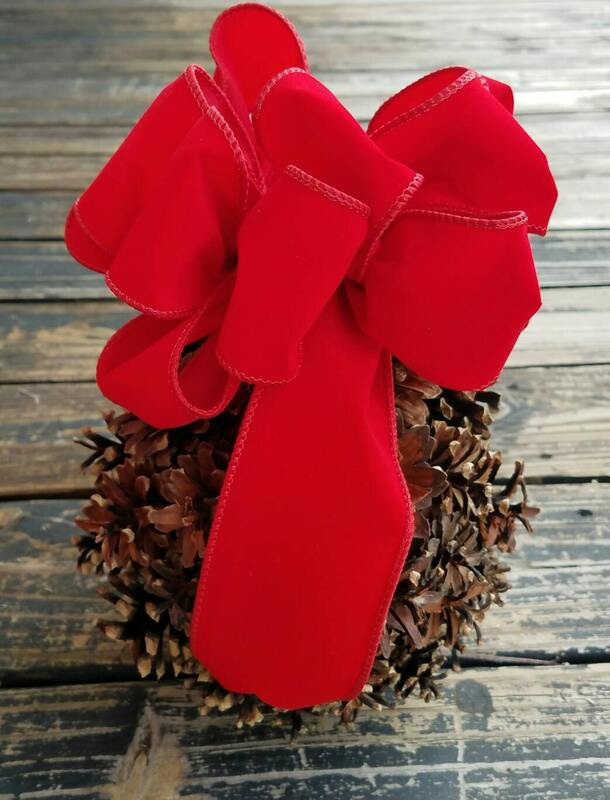 Sometimes twigs of mistletoe were added and thus the kissing ball was born. 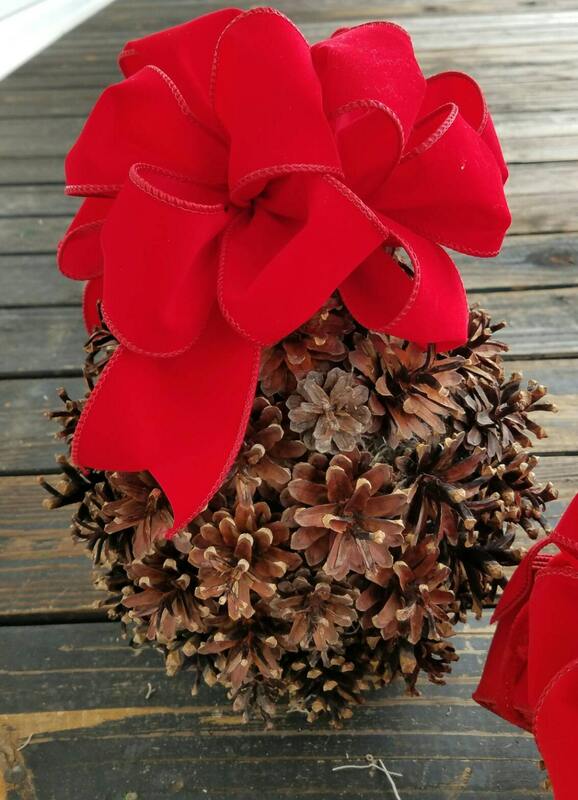 Our pine cone kissing balls are a twist on that age old tradition. 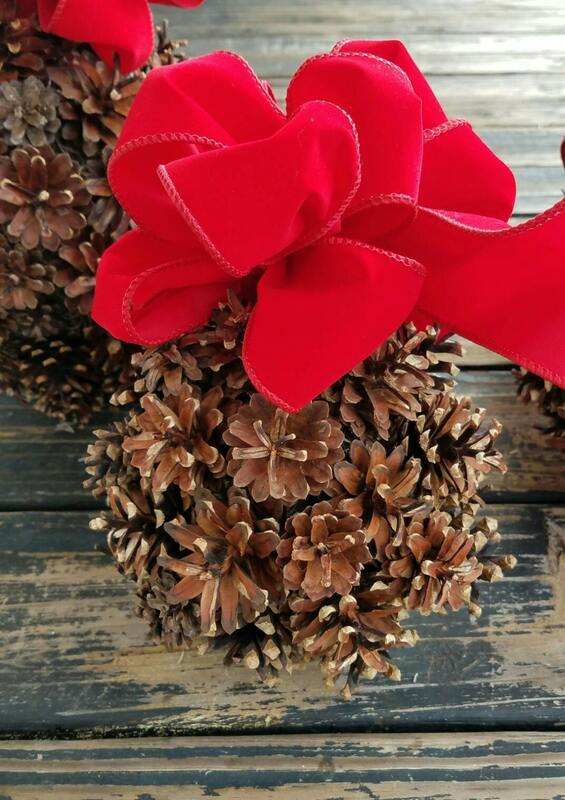 Small, scotch pine cones are used to cover styrofoam spheres then beautiful red velvet bows are attached along with approximately 2 feet of red velvet ribbon for hanging. You have several different sizes to choose from.